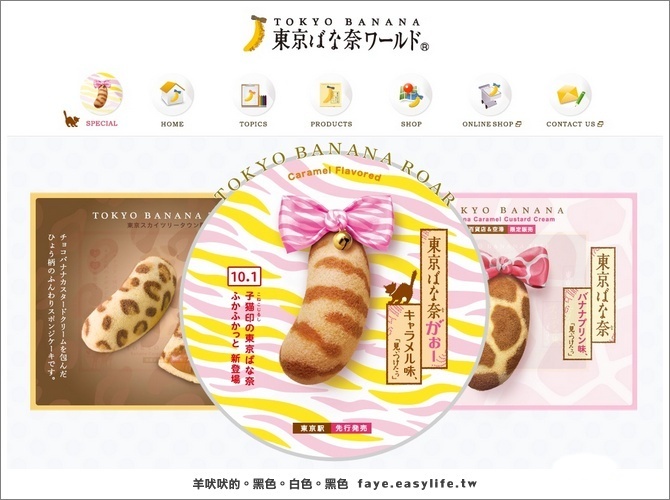 What is Tokyo Banana? 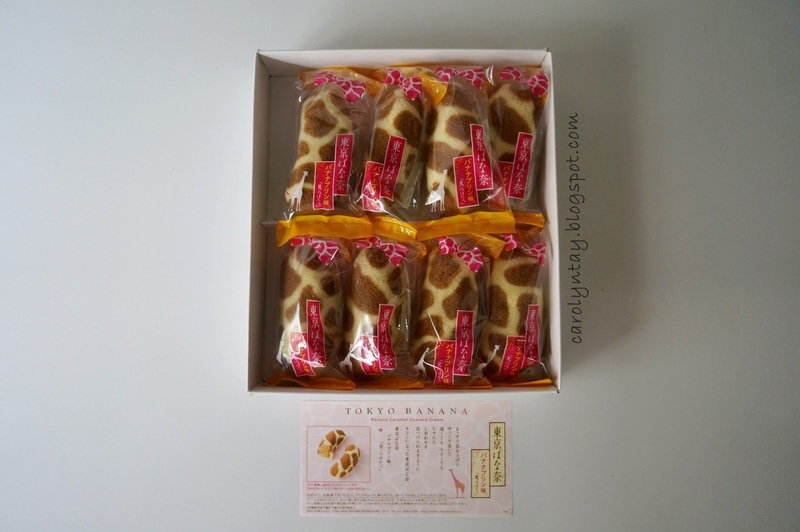 Tokyo Banana is a soft plain sponge cake filled with banana custard cream. It's a famous Japanese snack and you can only purchase them in Japan or through online! It is a MUST HAVE food souvenir when you visit Japan. I saw this cute snack at Cheesie's Japan Haul and was so tempted to get it. It is too cute to resist isn't it? They have all kinds of different versions, designs and flavours as well. I was hoping to get the Tokyo Banana Tree which is the chocolate filling but daddy can't find it so he got me the giraffe print instead. These are the other series, they all are too cute to be eaten. Banana Caramel Custard Cream in a box of eight. The sponge is really very soft and the banana filling is not too sweet. It's really so good that I can't stop myself from getting another piece. The cake is not oily at all and it feels like heaven in your mouth. 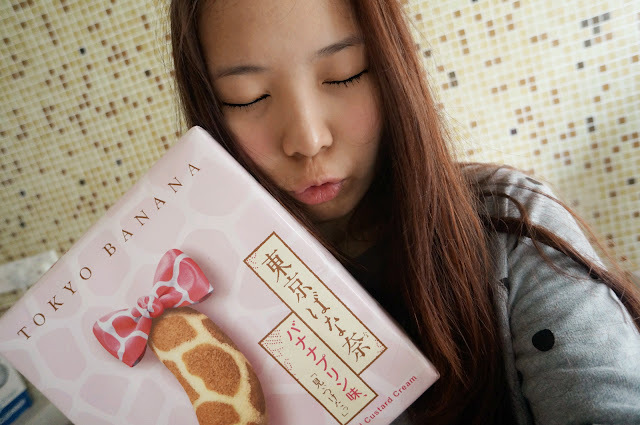 The banana taste is not too strong but just right for me. Price: Price for a pack of 4 pieces is starting from 500 yen (RM17) and a pack of 8 pieces will be around 1000yen (RM33). 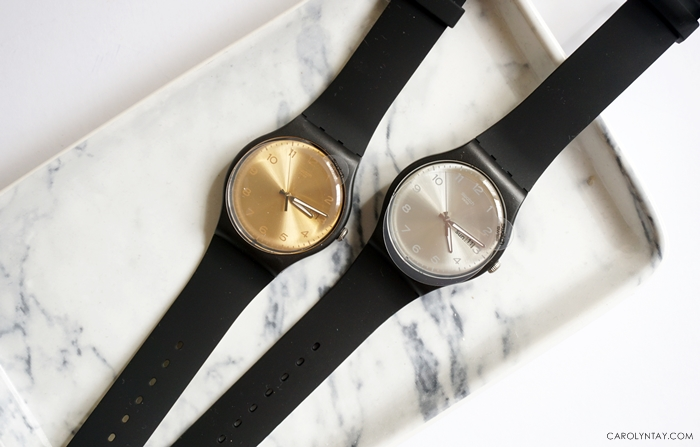 Location: You can purchase it at any convenient stores in major stations, Narita or Haneda Airport. 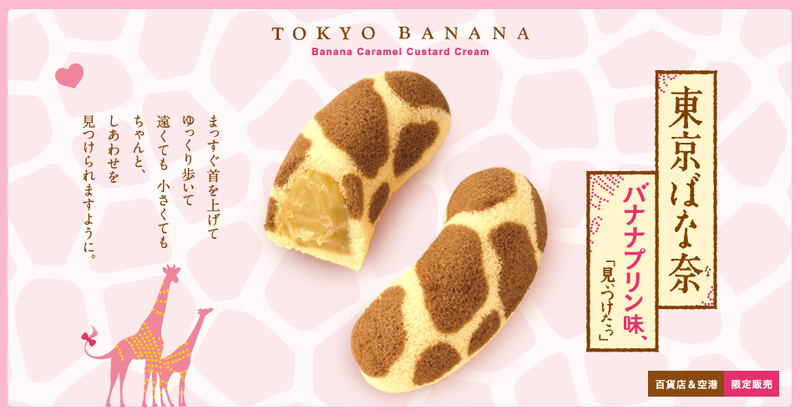 For the Tokyo Banana Tree(Leopard print), they are only available at the SkyTree Tower. It is launched to celebrate the opening of the tower and that explains why the name has a tree behind.